A human, inside of it, breathing. A human, perhaps, a woman. Perhaps this is her mind. and stream off an unknown edge into ether. 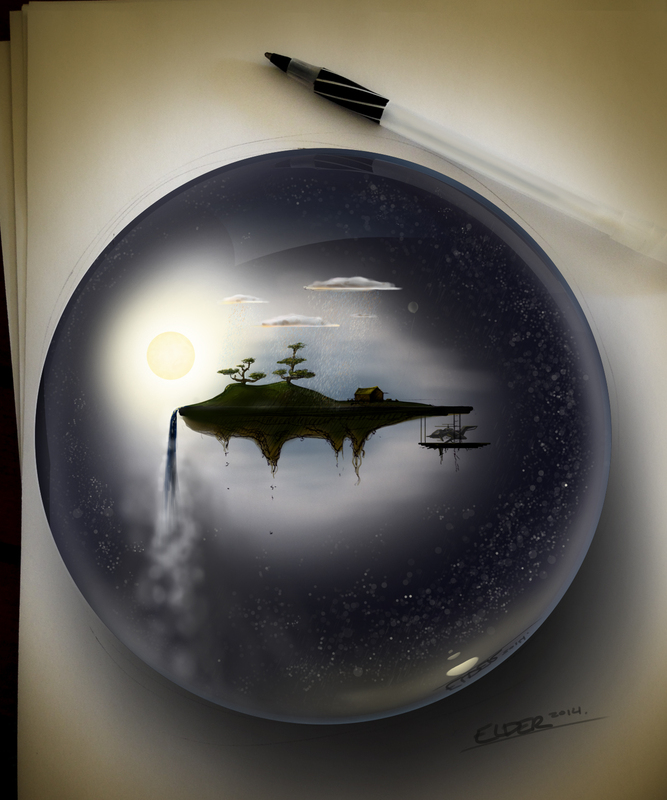 when what’s real is this orb of past and future stars. In the spring, the trees release their blossoms suddenly, as if weeping. The pink and white, five-petaled tears collecting in the yard. He grasps in his fists as many as he can hold, carries them to his mother. Why is there so much crying? he asks. His mother stands behind paper screens to tell him stories with her hands. Deep in his dreamworld, it is as if she has many fingers, shaping birds with tree-branch legs, insects with many wings. Your father was a bird who flew through my room. And you, you, a tiny caged bird-ling, trying always to escape through the many doors and windows, longing to voyage alone. Her long hands prod him. He opens his baby beak, her finger-shadow insects flying about the room. 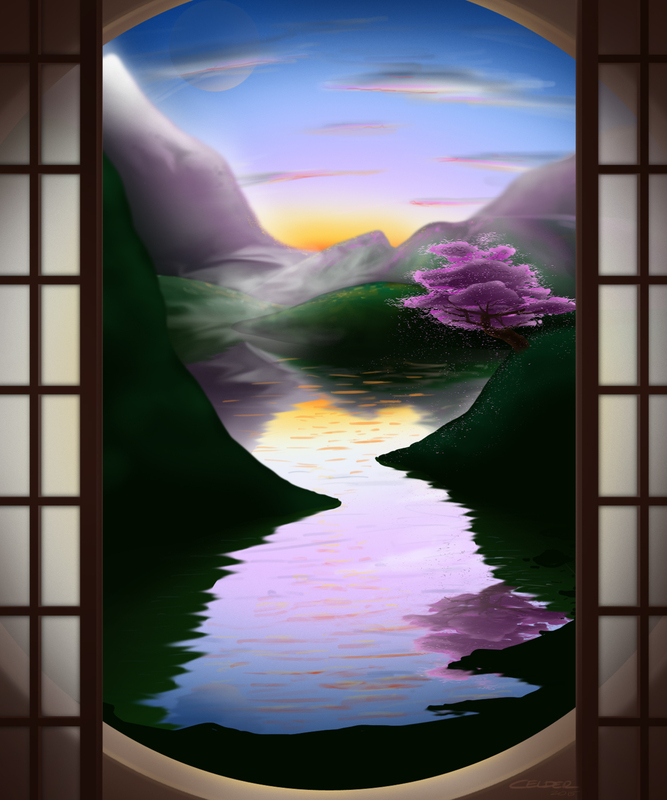 The boy gazes at Mount Fuji through the round window in the top room of the house, as he waits for his mother’s figure to appear along the path on her way home from the train station. Thinking he has missed the train’s brief passing through his view as it approaches, he anticipates her and times her appearance. When she does not emerge from between the trunks of blooming Yoshino, his stomach flutters, like an eyelid or a wing, and he anticipates her again, until he sees the train cars’ quick duplicating of the first car’s image, a kind of fluttering in his vision, just moments before the train will reach the station, before his mother will step off of it and return again from where she’s journeyed, as she returns to him each evening before the sun sets.